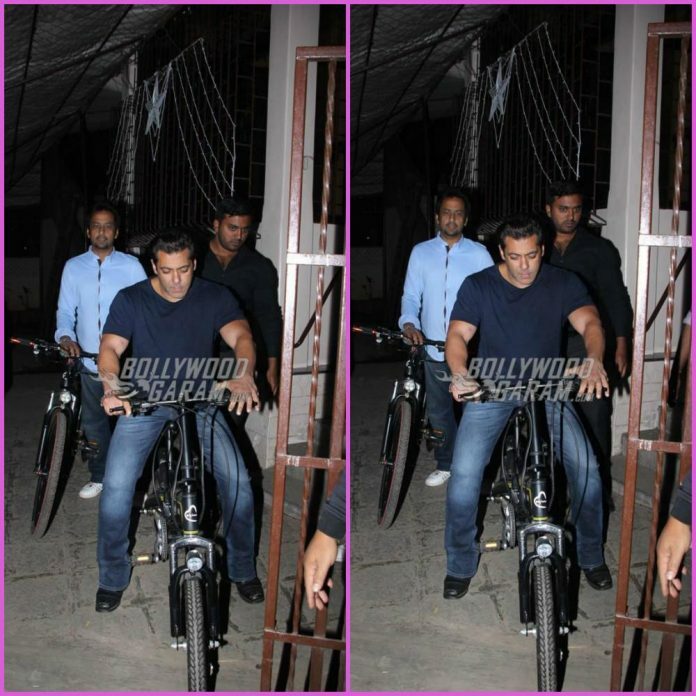 Salman Khan, has always showed off his love for bi-cycles. 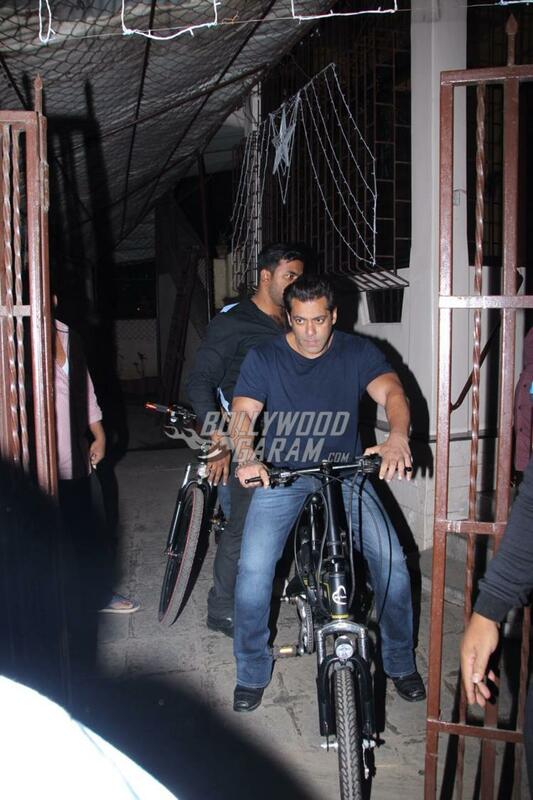 The actor took out time to ride one of his favourite Being Human bi-cycles on the streets of Mumbai on December 7, 2017. Salman was seen taking out his bi-cycle and looked great in a simple blue t-shirt and blue denims. The actor is currently looking forward for the release of his upcoming film Tiger Zinda Hai, which is the sequel to the film Ek Tha Tiger and is ready to be released in theatres on December 22, 2017. The film also stars Katrina Kaif and both will be seen performing some high octane stunts. 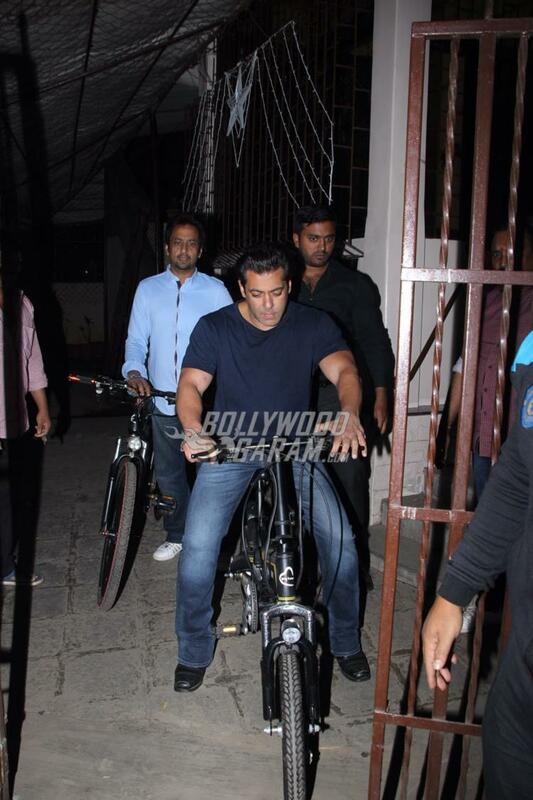 Salman in an earlier interview talked about his eating habits and workout habits. 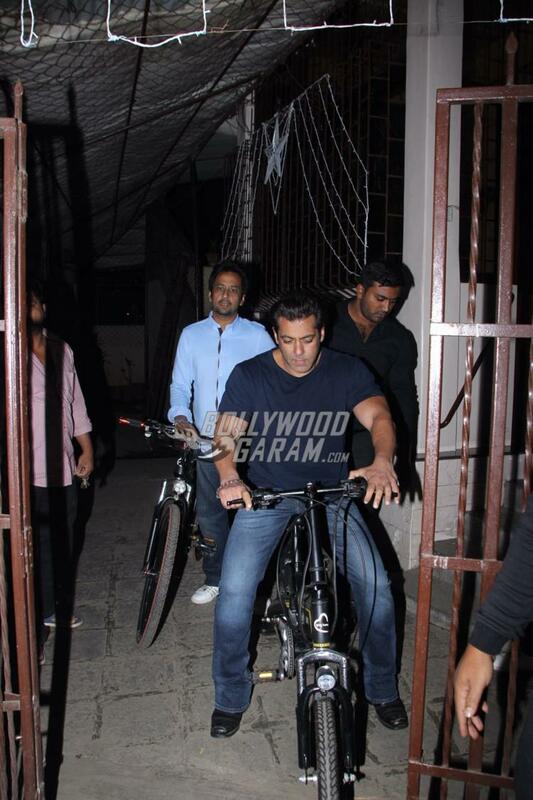 The Dabangg star said that he eats the right kind of food, goes to the gym, cycles and swims and avoids processed food. Salman added that he likes the yellow Dal prepared by his mother and his favourite food included Rajma Chawal and Roti. 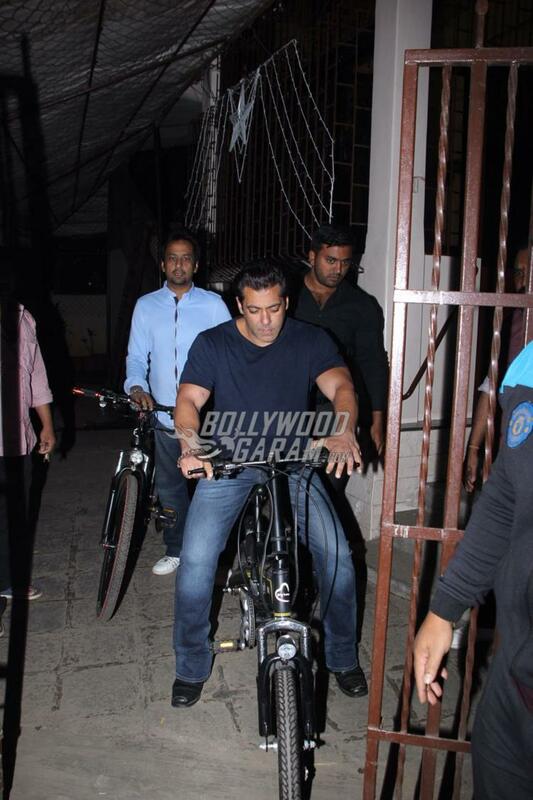 The actor has always made sure that he never misses his workouts and maintains a healthy diet.